Brudekisten is number one on the Norwegian bestseller list after one day on the market and has been chosen as book of the month in three major book clubs. 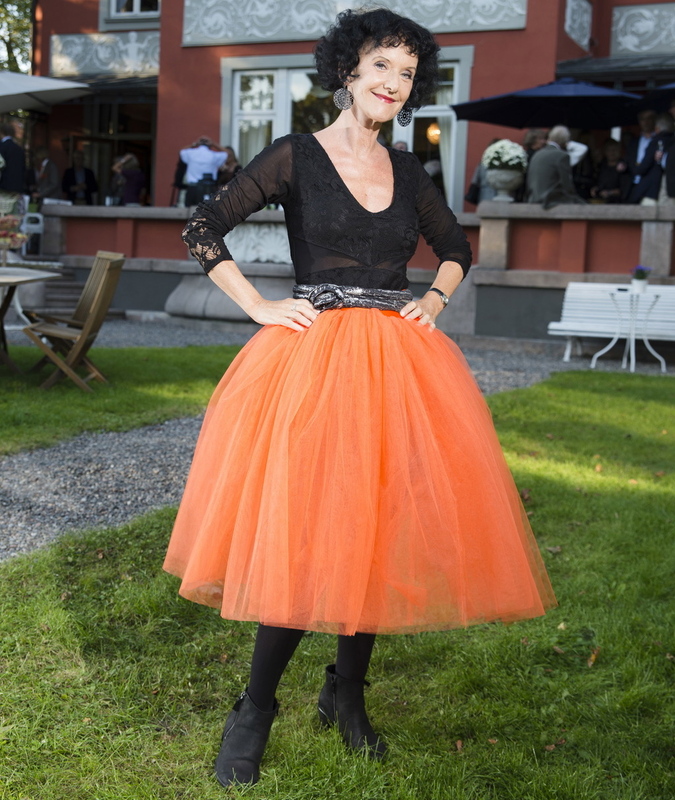 Unni Lindell’s convincing characters and her intimate themes have proved an unbeatable combination and have made her books about Cato Isaksen one of the bestselling crime series in Norway and around the world, and with Brudekisten she confirms her position as Queen of crime in Norway. Twenty-five years later the statute of limitations for murder is coming up and Emmy Hammer and Aud Johnsen meet up to talk about what really happened. But dusting off old memories can be dangerous. When the past meets the present, fear and hatred draw a cold-blooded killer out from the shadows. Slowly the culture of Gaustad Hospital is revealed – something lurks in its past, obscured by other issues and in the catacombs of the abandoned building complex Unni Lindell conjures up a classic horror movie atmosphere. In her unrivalled and characteristic style dark moods is mixed with everyday life and with surprises, twists and turn she captivates contemporary crime readers offering superb entertainment, but also a thought-provoking read. With The Angel is a Devil Unni Lindell has pretty much hit the bull’s eye. Lindell really knows the art of telling a suspenseful story. A Well composed and intriguing mystery that will appeal to many readers. Unni Lindell meets all the expectations in the crime genre and her clever narrative deceives the reader more than once. This is the great art of illusion. 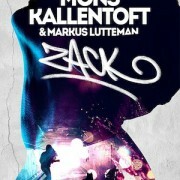 With “Zack” Mons Kalllentoft and his co-writer Markus Lutteman have put a modern spin on the Greek myth of Hercules – probably one of the most dynamic and thrilling stories in history. They are relocating it to Stockholm 2014 and hope to create an immortal hero. Zack is a different type of hero – multi–faceted with a turbulent background, many difficult childhood traumas that have come back to haunt him. He is just a young adult, but with an incredible energy as a police officer. When he was five years-old his mother – also a police officer – was murdered, but the perpetrator was never found. He has sworn to find his mother’s killer. The authors are using a classic fairytale from many centuries ago that is both captivating and dramatic. Each book centers around a specific case that is part of a grand, truly epic story. Zack is number 1 on the largest Internet store Adlibris in Sweden after the second day on the market. The book rights are already sold to nine countries. NEW! 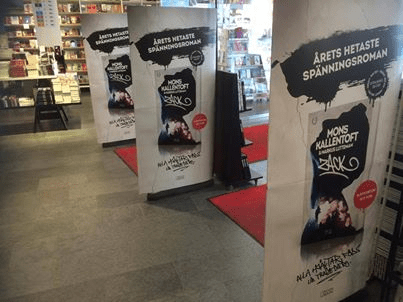 Deckarhuset – Swedish website for crime and thrillers reads ZACK and they say that the book gave them “Stieg Larsson vibes”! http://www.nordinagency.se/wp-content/uploads/2014/04/Zack_webb.jpg 467 300 Anna Frankl http://www.nordinagency.se/wp-content/uploads/2014/02/new_logo.png Anna Frankl2014-07-07 15:10:512014-07-07 15:34:09ZACK – NUMBER ONE! 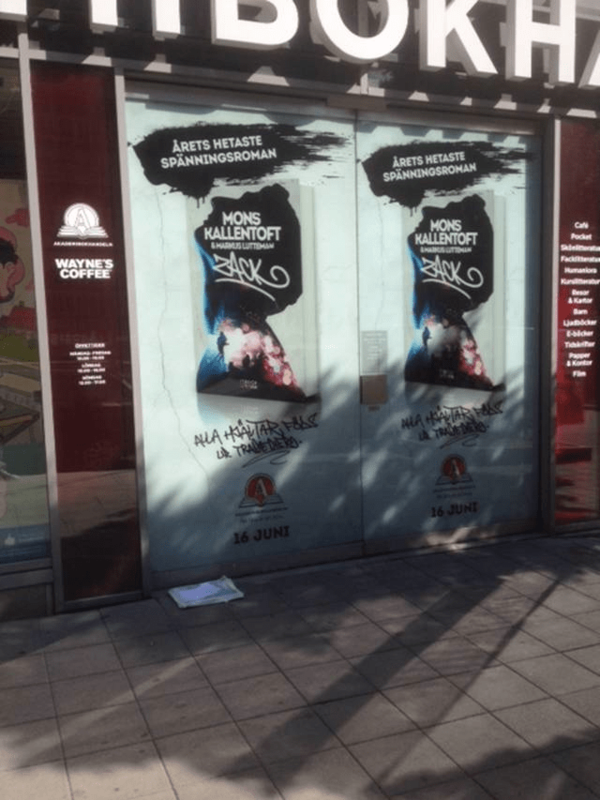 Sigge Eklund and Into the Labyrinth takes Swedish readers by storm! 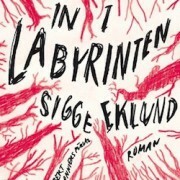 The reviews are in and Sigge Eklund’s latest novel Into The Labyrinth is a smash hit. Some critics liken him to a young Paul Auster with characters akin to Inger Bergman’s in Scenes From A Marriage. Some praise the intense suspense in the book and others have clocked the author’s intelligent narrative and unique style. The consensus however, is that Sigge Eklund’s new novel is an exciting page-turner. This haunting psychological suspense novel will take you on a journey in to the minds of four people who have all been affected by the disappearance of an eleven-year-old girl. Sigge Eklund’s writing is sophisticated and bold as he intricately weaves together the connections between the main characters and how their stories fit. The atmosphere in the novel is dramatic and dense without ever loosing pace, creating a unique piece of suspense fiction that boarders on the literary. Since its debut Into The Labyrinth has steadily climbed the charts and is currently topping Swedish retailers bestseller lists. The author, a very popular podcaster and media figure, has already been seen on all the major networks promoting the book and talking about the driving force behind this, his first, purely fictional novel. http://www.nordinagency.se/wp-content/uploads/2014/04/labyrinten_webb-e1398756426618.jpg 335 250 Nordin http://www.nordinagency.se/wp-content/uploads/2014/02/new_logo.png Nordin2014-06-18 10:52:252014-06-18 10:52:25Sigge Eklund and Into the Labyrinth takes Swedish readers by storm! SOFIA NORDIN’S “ONE SECOND AT A TIME” NOMINATED FOR THE NORDIC COUNCIL CHILDREN & YOUNG PEOPLE’S LITERATURE PRIZE! Motivation: Sofia Nordin’s gripping, dense and horrid story about life after a catastrophe is unique of its kind. It crawls under your skin, poses questions about our existence and confronts us with things that we would rather not think about. One Second At a Time is moving, and captivating story of survival against all odds featuring 11-year old Hedvig who is left alone in the world when her entire family, along with the rest of the population, has died in a mysterious fever. It was published last year by Rabén & Sjögren. Sofia Nordin made her debut as a children’s author in 2003, and has since then published a number of books for teenagers and young readers. 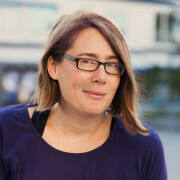 Two of her books, Night Sky (2009) and It Happens Now (2010) were shortlisted for the August Prize. In 2005 her first novel for adults was published. Critics and readers alike have praised her books. http://www.nordinagency.se/wp-content/uploads/2014/02/nordinsofia_thumb1.jpg 374 500 Anna Frankl http://www.nordinagency.se/wp-content/uploads/2014/02/new_logo.png Anna Frankl2014-04-28 17:24:222014-04-29 10:03:02SOFIA NORDIN’S “ONE SECOND AT A TIME” NOMINATED FOR THE NORDIC COUNCIL CHILDREN & YOUNG PEOPLE’S LITERATURE PRIZE! The Swedish Crime Academy has named Thomas Engström’s West of Liberty (“Väster om friheten”) the Crime Debut of the Year with the following motivation: “A fully developed international thriller in an aptly portrayed Berlin setting.” Some of the previous winners of the debutant prize include well-known household names such as Håkan Nesser, Åsa Larsson and Johan Theorin. 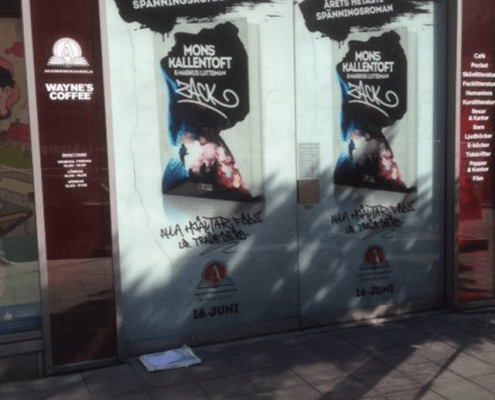 While the book isn’t actually Engström’s first novel, it is however his first as a crime author and judging by the response it has been a very successful transition. Congratulations, Thomas! “One second at a time” is moving, and captivating story of survival against all odds featuring 11-year old Hedvig who is left alone in the world when her entire family, along with the rest of the population, has died in a mysterious fever. It was published last year by Rabén & Sjögren. 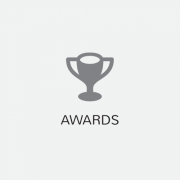 http://www.nordinagency.se/wp-content/uploads/2014/02/awards_light.png 500 500 NordinNordin http://www.nordinagency.se/wp-content/uploads/2014/02/new_logo.png NordinNordin2014-03-31 21:51:492014-04-08 16:42:13SOFIA NORDIN'S "ONE SECOND AT A TIME" NOMINATED FOR THE NORDIC COUNCIL CHILDREN & YOUNG PEOPLE'S LITERATURE PRIZE! The Swedish Crime Academy has named Thomas Engström’s “West of Liberty” (“Väster om friheten”) the Crime Debut of the Year with the following motivation: “A fully developed international thriller in an aptly portrayed Berlin setting.” Some of the previous winners of the debutant prize include well-known household names such as Håkan Nesser, Åsa Larsson and Johan Theorin.